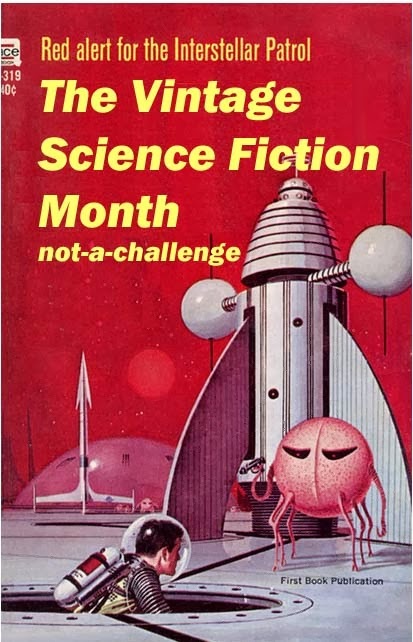 Those two events go hand-in hand, but as Vintage Sci-Fi Month concentrates on a narrower slice of sci-fi, namely books published before 1979, let's start the wrap-up with it! The Sci-Fi Experience has a wider scope, as it allows any kind of sci-fi media from any time period. So besides the two already mentioned novels, I read Ender's Game by Orson Scott Card and watched quite a lot of Star Trek stuff, of which I speak HERE. In December I finished TOS, watched TAS and the six films that feature the original cast. 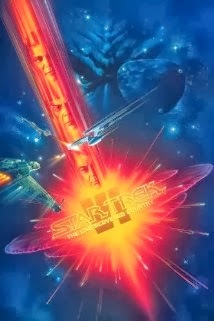 I'm already in the second season of TNG, but I've decided to go back to the films and review them for The 2014 Sci-Fi Experience. The only thing I can say about this film is that you should totally skip it if you can! While some nasty formless thing approaches Earth and threatens its existence, the old crew of Enterprise makes concentrated and tragical faces while watching the abundant display of then-cool special effects. Meanwhile, everybody have some weird psychological conflicts, and Spock is straight crazy. Everything is VERY SLOW, the plot is absent, and the ending is of the WTF kind. Now this is a very different story! I love Khan's story from the original series, and having him in play again is a great idea! Khan is a genetically engineered tyrant, whom Kirk has left on a lifeless planet with his accomplices, and now HE IS NOT HAPPY with Kirk and the whole situation and wants revenge!! There is also the Genesis project capsule which can create new life while killing the old one, mind control eels that enter people's heads through ears, the famous three-dimensional space thinking and what not. Also, the end... You need to watch it to know what I'm talking about. 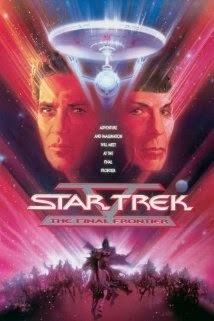 The Search for Spock takes off immediately after the events of the previous film, and it's difficult to describe the plot without spoilers. So I'll just say that it's very funny at times, and at times sad, and totally gripping at all times! 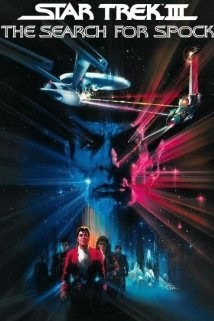 I watched it immediately after The Wrath of Khan, because the suspense was too much for me :) Needless to say, I wasn't disappointed. Films II, III and IV form a trilogy, and should be watched as as such. After the events of The Search for Spock, the crew is left with a ramshackle Klingon ship and a prospective trial after coming back to Earth. However, Earth has other problems than to judge our insubordinate friends. An unknown and hostile object is approaching, which wants to contact whales who by the way have been extinct for many years. So apparently the only possible solution is... you knew it! to go to the past and bring some whales! I really loved all the scenes in the past, they are very funny! The crew looks really awkward in "our time" and produces a lot of unbelievable UFO stories. Also, whales! I love whales! 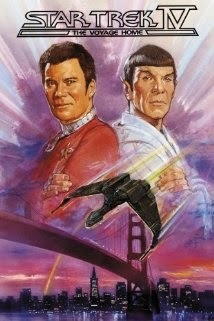 I think I liked this film even more than The Wrath of Khan. After the awesomeness of the previous three films this one fell flat for me. 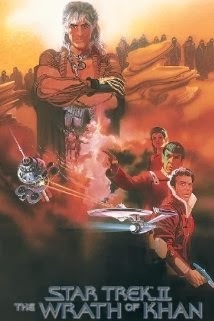 The crew is sent to stifle a rebellion on some far-away planet and instead gets captured by non other than Spock's bad-reputed brother who needs a ship to find some divine planet where supposedly God resides. 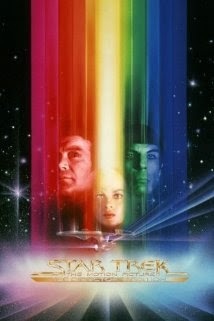 I'm not a fan of all the religious themes in Star Trek, and this plot left me indifferent. To read the rules and sign up, please go HERE. I will do some kind of wrap-up post at the end of the event, and we'll see how well I'll do :) Wish me good luck! I was expecting so much from this book after the greatness of I, Robot, but, sadly, it fell flat for me. 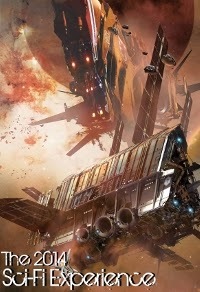 I mean, OK, it's a space saga with politics, wars, progress, etc, and it sounds rather impressive, but if you look to the core of it it's as if the author has just read about the fall of the Roman Empire and was impressed. He does have a good grasp of European history, but what about inventing something new instead of just interpreting historical tendencies on a cosmic scale? 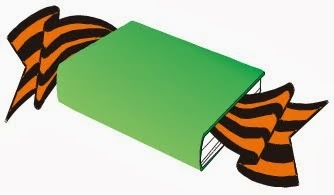 The book consists of 5 short stories first published separately. Each of them covers an important turn in the history of Foundation - an emerging force in the Galaxy which was once one strong, centralized and technological Empire. This Empire has fallen, as had been predicted, its periphery has become separate kingdoms, and space has become a field for numerous conflicts. There is a prophesy, though, that if a certain course of action is pursued, a new Empire will emerge in 1000 years, and chaos will end; and it's up to Foundation to see to it. Although I enjoyed some of the dialogues, which were rather clever, the rest was not very gripping. The book is all about ideas, not adventure or even characters, and the ideas, as I've mentioned, are not new. Interdicts, economic blockades, political maneuvering - all this is rather predictable for anybody who is at least a bit acquainted with the history of the world. 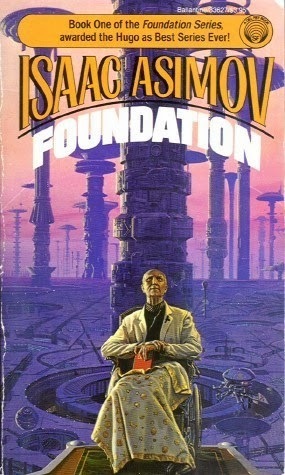 It's definitely not the best of Asimov, and I'm surprised it won Hugo. Although if you really love history, this may be your thing. To say that this book is a Sci-Fi classic is to say exactly nothing. 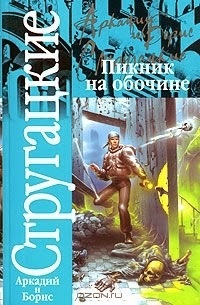 Everything Strugatsky brothers wrote has become a classic, but among all their books this is the cult one. Not only has it inspired the famous computer game S.T.A.L.K.E.R. and formed a separate stalker sub-genre of Sci-Fi literature, it has also marked the beginning of the popularity of a new hobby - urban exploration or urban tourism. I've known some guys who define themselves as stalkers - they break into old destroyed plants' territories, explore manifolds with underground rivers... It's dangerous and illegal, and it has been very, very popular in Russia since the 80th when a lot of objects from the Soviet times were abandoned and deteriorating. I guess there are not many books that have had such an impact on popular culture. There are so many fascinating ideas in the book, that I will not even try to talk about them - you simply have to read the novel by yourself. What I will talk about here is writing - I have forgotten how well the Strugatsky brothers can show the way a person is thinking. The main character talks and thinks differently when he's 23 and when he's 31, but it's obviously the same very well recognizable man. It's simply a masterpiece and must be read. One astonishing fact inspired this book: in 1665 one Caleb became the first Native American to graduate from Harvard College. 1665! Amazing, right? How did it happen? Well, apparently, back then when religiousness was really crazy, natives were encouraged and bullied to become Christians. To that end, a sponsorship was organised to pay and provide for those Indians who wanted to get education in hope of their help in advancing religion further. They were to have a profound brainwashing in college and then to go preach to their fellow countrymen. Of course, it was very difficult for them, because apart from mastering English, they had to excel in Latin, Greek and Hebrew, they had to endure not only the hardships of living in a poor-provided establishment which was Harvard, but also the contempt of the Englishmen and distrust and sometimes hate of the fellow natives. But some of them willingly pursued this course in hopes of obtaining means to protect their people from the advancing "civilization". It's an amazingly interesting topic, but not much is known about it, unfortunately. That's why, I reckon, although the novel does tell Caleb's story, it's not in the focus of the narrative. 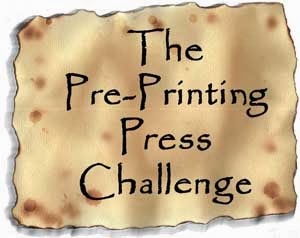 Instead, everything the reader sees is from the point of view of Bethia, a daughter of a missioner, who meets Caleb when they are both children and introduces him to her world. She is the center of the novel, and she is a great character! 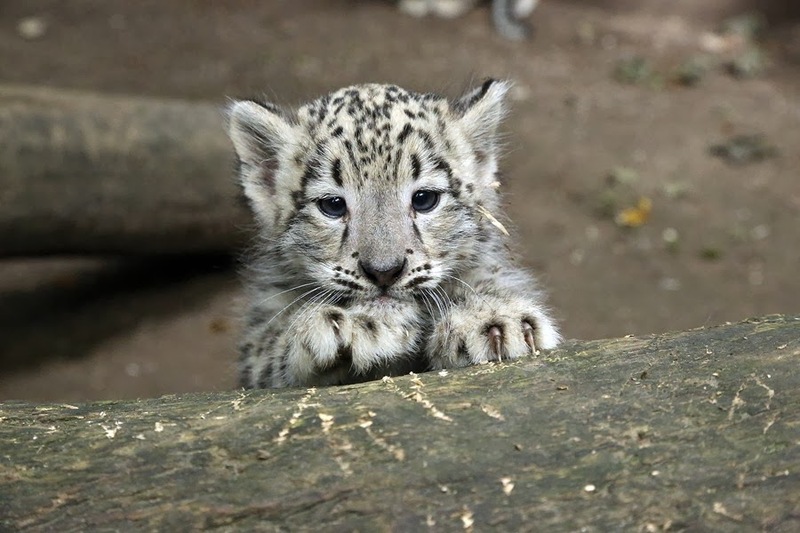 She is quicker and cleverer than her brother and is eager to learn, but, being a woman, is not allowed to do so. Her father tells her: "I would do you no favor if I were to send you to your husband with a mind honed to find fault in his every argument or to better his in every particular." So she resorts to eavesdropping on her brother's lessons and then agrees to go into service in a prep school just to continue overhearing stuff. Apart from her eagerness to learn, she is also interested in the Indian culture. Instead of shunning from their religion and beliefs as from the "work of Devil", she tries to understand it, and that's why her friendship with Caleb is possible. 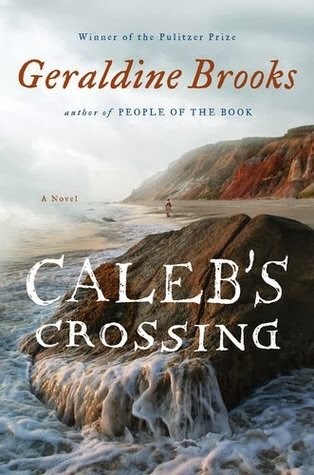 Caleb's Crossing is very well researched, and it was very interesting to read about the early settlements, communication with the natives and the towns and universities of that time. The ugliness of the treatment of women and the Indians (and especially Indian women) is not smoothed, and the state of the medicine is really horrifying. Science also leaves much to be desired, as it was very mixed with and dependent on religion, and pretty useless for the most part. As for the style of the novel, it is written in a form of Bethia's diaries, and I enjoyed the flow of her writing, which draws one into the story and doesn't let go. A very decent historical fiction book, with amazing characters and a captivating story. The book is the first choice for Plagues Witches and War: The World of Historical Fiction Book Club, and I'm really happy I've joined it! Nennius's opus, thought rather short, is epic. He documents the history of Britain from Adam (every decent history should start there, right?) until 9th century. He traces the lineages of the peoples of Europe, talks about migrations and conquests... well, collects everything known to him, I guess :) But his focus is on Britain, first on its conquest by the Romans, and then on the Saxon invasion. It was very interesting to read about numerous Roman undertakings in Britain and remember the facts I heard at British history lessons in the university. Then I was reminded of the fact that the Britons actually invited Saxons to live on their shores as a buffer from invasions. Who knew they would get OUT OF CONTROL? :) King Vortigern who invited them is an awesome character: he's portrayed as a coward, a tyrant and the one who would sleep with his own daughter and give the resulting (grand)son away. After becoming a hated figure for allowing Saxons take over he seeks refuge in Wales. Nice guy, eh? As was usual at that time, Historia Brittonum contains not only more or less dependable facts, but also legends and rumors. Some of them are Christian, as for example the miracle of St. Germanus, and some of them are inherited from Welch mythology, as the story of Arthur's boar hunting with his legendary dog. 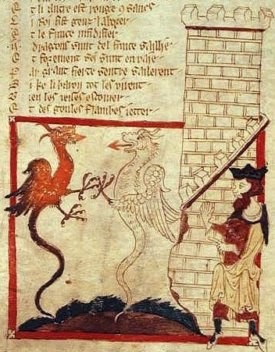 The chronicle ends with the descriptions of the curiosities found in Britain beginning with hot springs in Bath and ending with flying stones. Historia Brittonum is largely regarded as the first written source to document the life of king Arthur. However, he takes very little place in it, as he is only mentioned as a guy who battled Saxons twelve times. Not that is was something unusual at that time, but he was surprisingly successful in all of them. That's basically all that we get to know about him from this chronicle. He doesn't even fit in the story very well, because for every other known ruler Nennius gives his lineage from a god, or a Roman emperor, or some such famous character, and Arthur gets no such background. A nice example of an early history, although not very informative. 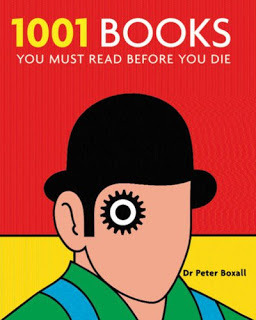 Reads more or less as a legend collection, with the addition of some long tiring lineages. Another choice for Coursera Fantasy and Sci Fi book club has quite unexpectedly become a huge success with me. It's rather surprising, because really, if you read the premise it sounds like a typical Disney story. Don't let it mislead you! Even though “Fencing. Fighting. Torture. Poison. True love. Hate. Revenge. Giants. Hunters. Bad men. Good men. Beautifulest ladies. Snakes. Spiders. Beasts of all natures and descriptions. Pain. Death. Brave men. Coward men. Strongest men. Chases. Escapes. Lies. Truths. Passion. Miracles.” are all present, as promised, it's also very, very funny. The book is subtitled as "S. Morgenstern's classic tale of true love and high adventure. 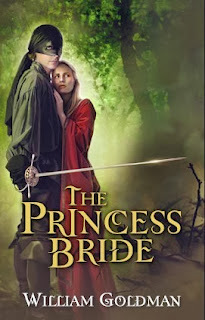 The "good parts" version abridged by William Goldman", and it starts with an introduction in which the fictionalized Goldman explains how he came to love this book and why it needs abridging. The problem with the "original Morgenstern" is that he was writing a satire, and some satirical parts are better left out if the reader is not particularly interested in Florinese history and politics. So Goldman is doing what his father was doing when he read his son from the book - skipping the boring stuff. He actually substitutes it with his own commentary, justifying his omissions and commenting on their content. Sometimes the commentary also tells the reader about Goldman's experience when he was first read the book by his father. So, this way, with the additional awesomeness of Morgenstern's and Goldman's commentary, the story is told. And the story itself is rather potent: not only does it have all the elements of a great narrative (fencing and true love, dudes! ), it is also very ironic, with some twists of the plot rather unthinkable and some purely ridiculous. Yet, all of them pertaining to the style. With all this complexity, the story holds together surprisingly well and is read in one breath. It took me only two nights, and that with all the impending exams. That says something about it! 20 pages into this book I already regretted putting it on my Classics Club list. OK, it's an iconic Gothic novel, which has inspired a lot of followers since it was written, but it's very, very tiresome to read. Seriously, I was wondering how come Catherine Morland found it so exciting and how could Henry Tilney have read it in three days? It took me three months, on and off. Let's be a little more organised than usual today and make a bullet list of things that I didn't particularly enjoy in the novel. The first problem of the book is, of course, the abundance of cumbersome poetry. The reader is lucky if there are only epigraphs from Milton or Shakespeare, as they are quite bearable, but sometimes it's real crap, which I can't even make sense of. Moreover, some of the heroes write "their own" poetry from time to time, which is even more horrible. Sorry, Mrs. Radcliffe, you are no Shakespeare. Second thing that bothered me was the descriptions of nature. They are everywhere and occupy nearly one third of the book, or so it seems. Imagine a heroine being led through the dark forest by a couple of ruffians at night and then just stopping to admire the stars. Yep, that's what happens here. It's slow! 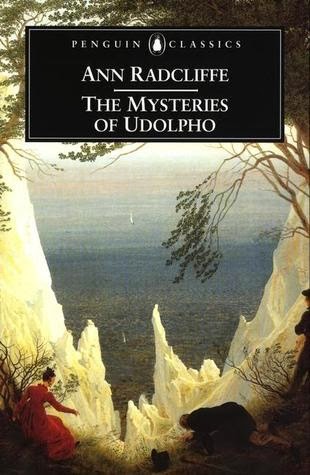 It's so slow that the castle of Udolpho is first mentioned only on page 188 out of 650. Argh! All the FEELINGS! The main heroine is particularly sensitive and is always fainting, blushing, crying, trying to find words, shocked, etc. I know, I know those were the times when it was considered desirable, but really? All the characters are either unreasonably evil or are saints. The only well-developed character in the book is Annette, Emily's maid, who is generally good, but talkative, shallow and superstitious. Her voice is the only one that is different from others. 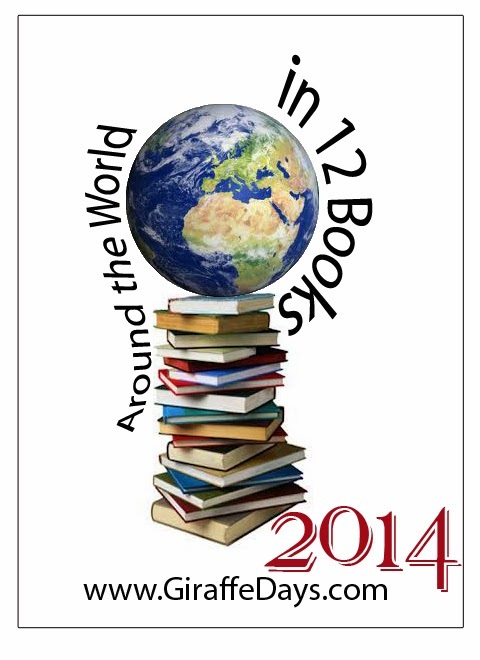 The only reason to read it is to get acquainted with the source of the genre. If you are not famous for your patience, skip it! 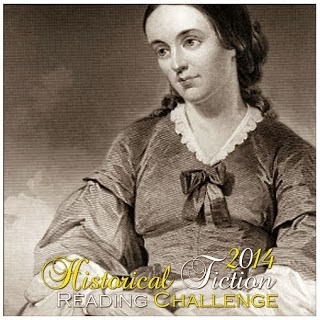 Historical Fiction is a genre I've always wanted to read more of. I have Wolf Hall lying on my desk for months, and this year I will also be joining some discussions at Plagues, Witches and War Historical Fiction Book Group. So this challenge is perfect for me! The full rules can be found here. 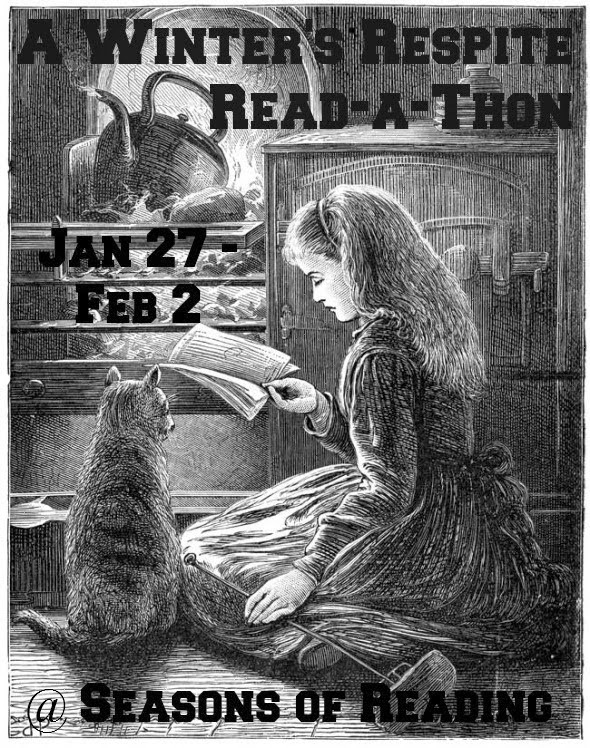 I'm joining for Renaissance Reader level, which means I aim for 10 HF books in 2014. Congratulations on all the past holidays! I haven't been around much since December 20th, as I went home for Christmas holidays, so I had too much real life to spend time online. Then my BF and I did a bit of travelling together, and yesterday I came back to my dull student life full of exams and deadlines :) Which means I'll probably not be very active in January too, but at least I'll catch up on all your posts. There are 300 unread items in my RSS! That's a lot of work! 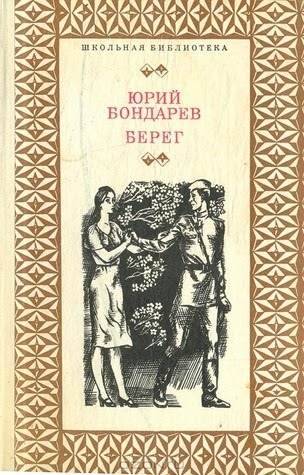 Meanwhile, I have finished The Mysteries of Udolpho, which was not very rewarding, and now I'm reading The Shore by Bondarev, which is quite good. The reviews will be up soon!